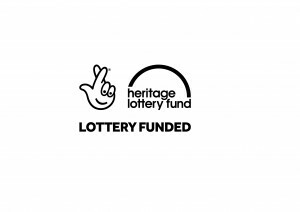 Total Theatre Magazine is delighted to announce that we have been awarded a substantial grant from the Heritage Lottery Fund through their Our Heritage funding programme which will be used to create a valuable new online resource. Every single print issue of the magazine – which was published for 25 years between 1988 to 2012 – will be digitised and made available online on a brand new website. For over 30 years, Total Theatre Magazine (now online) has been at the forefront of the advocacy, celebration and documentation of contemporary theatre and performance – including the support of forms such as circus, street theatre, site-responsive performance, puppetry, and visual theatre, which have often been ignored, or not treated with the seriousness they merit, by other publications. The print magazine encompassed 100 issues over 25 years. Thanks to National Lottery players, this archive will be preserved for everyone to engage with, all content provided free to view. The new Total Theatre Archive website is to be launched early in 2019. Editor Dorothy Max Prior and Web Editor John Ellingsworth will be working with members of the magazine’s editorial team and volunteers to scan, upload and tag content, creating a fully searchable website that will be a valuable resource for scholars, journalists, artists, students, and anybody interested in Britain’s alternative theatre and performance history. Once the website is built, Total Theatre Magazine will be working with writers, editors, and leading arts professionals to create new content that will reflect upon and interact with the archive; and collaborating with our partners to create a programme of activities and learning opportunities using the new archive. Total Theatre Magazine has also received financial support from a number of leading institutions and organisations, including Rose Bruford College of Theatre & Performance, Royal Conservatoire Scotland, and The Attenborough Centre of Creative Arts at University of Sussex. The theatre and arts industry of Britain (and across the world) has been galvanised into expressing support for the digitising of the Total Theatre Magazine archive: artists, directors, producers, festival directors, critics, and professors and lecturers from leading drama schools across the country have all endorsed the need for Total Theatre Magazine to be digitised and made accessible. Total Theatre Magazine is currently in a process of redevelopment which will result in an exciting new phase of life, building on our strong heritage and finding new ways to critique, document and support contemporary physical and visual theatre and performance. Total Theatre Magazine is now, since 2017, managed and published by Aurelius Productions CIC. The core editorial team (Dorothy Max Prior, John Ellingsworth, Beccy Smith and Thomas Wilson) is working to progress plans for the next phase of Total Theatre Magazine.